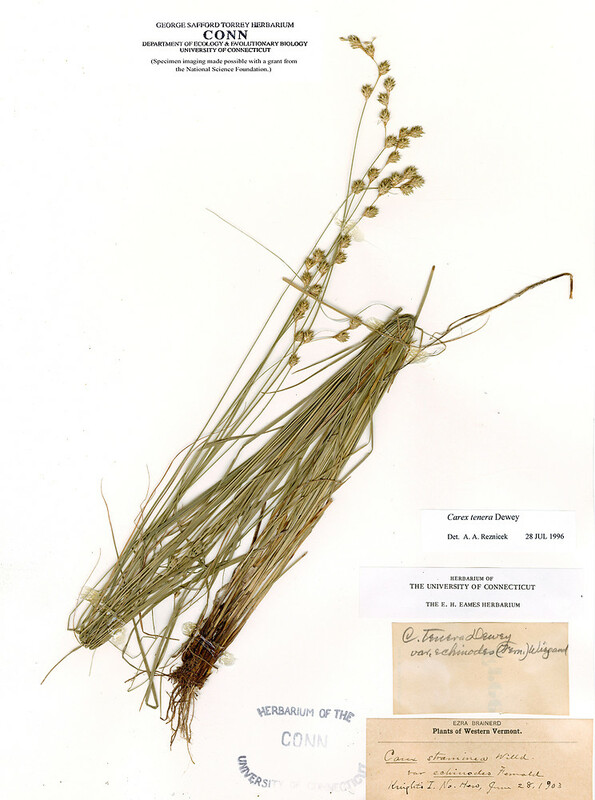 Occuring only in swamps and lacustrine forests in northwestern Vermont, prickly quill sedge is very rare in New England. 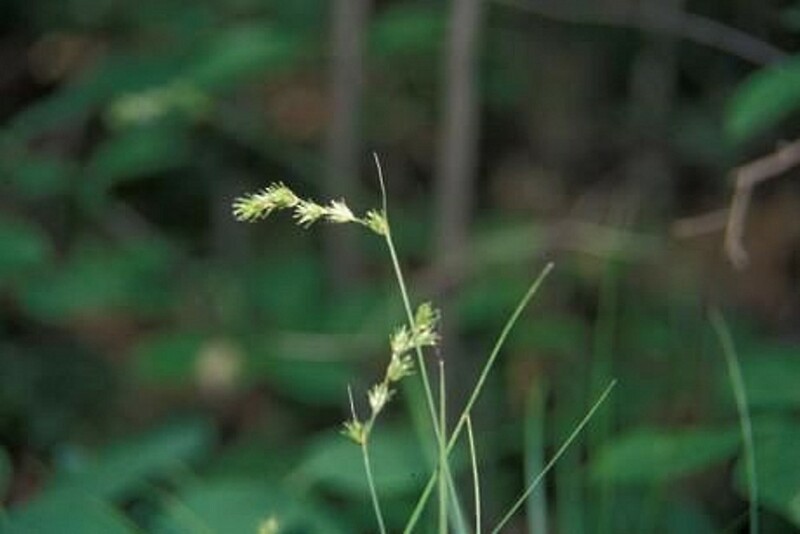 It is similar to, and closely related to delicate quill sedge (Carex tenera), which is more common. 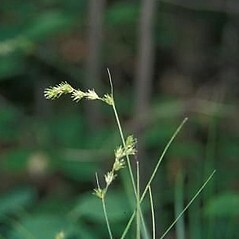 The leaf sheathes of prickly quill sedge are smooth near the apex, and are often mottled or striped with white near the base. 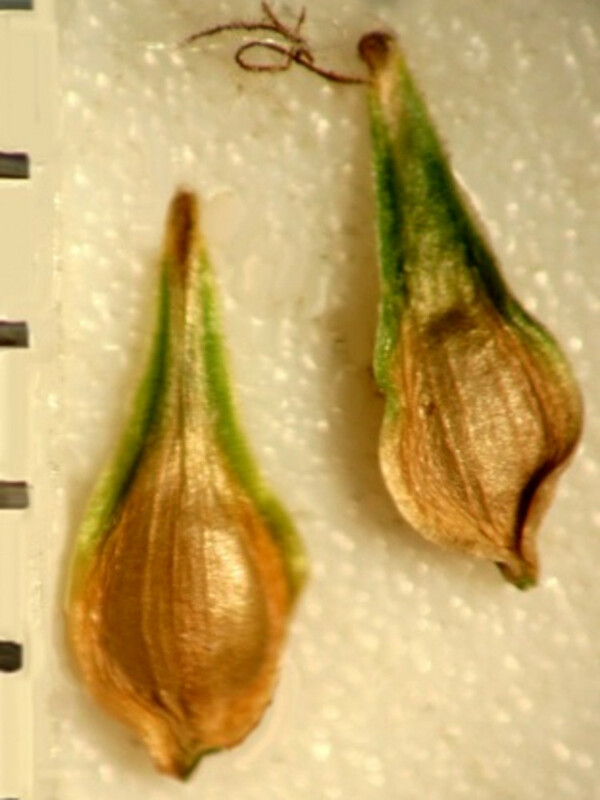 apical, herbaceous portion of some leaf sheaths with minute papillae and perigynia of intact spikes appressed to spreading-ascending, exceeding their associated carpellate scale by 0-0.8 mm (vs. C. echinodes, with the apical, herbaceous portion of leaf sheaths smooth and perigynia of intact spikes spreading, exceeding their associated carpellate scale by 0.7-1.6 mm). Carex straminea Willd. ex Schkuhr var. echinodes Fern. 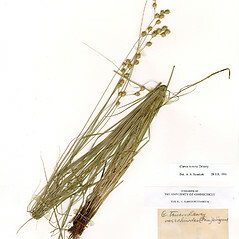 Carex tenera Dewey var. echinodes (Fern.) Wieg. prickly quill sedge. 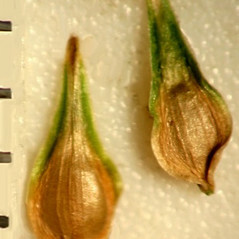 Carex tenera Dewey var. echinodes (Fern.) Wieg. ; C. straminea Willd. ex Schkuhr var. echinodes Fern. • VT. Swamps, lacustrine forests.